Hey guys! I thought I would give you a little peek into the beginning stages of my Fall wardrobe. All of these pieces are from my favorite store, H&M. I love these simple pieces because they are so easy to mix and match with. 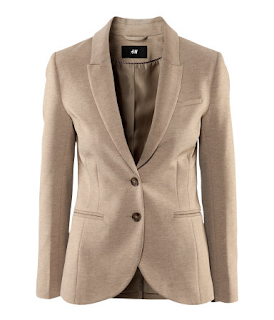 When shopping, it is always key to find great basic pieces as well as those statement pieces. It'll make putting outfits together that much easier. I am obsessed with blazers. It seems like I have one in every color. From the must have black, the funky red, the girlie pink, and all the neutral browns in between. 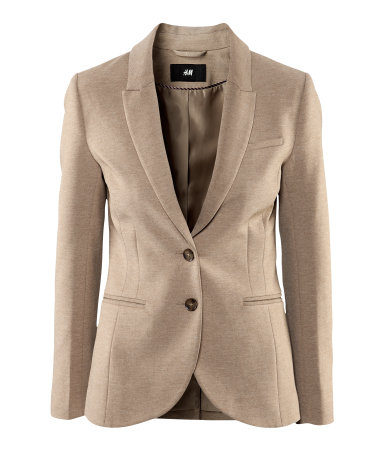 So when I saw this super soft and comfy brownish beige one I had to get it. I am a strong believer in leather jackets for the Fall. 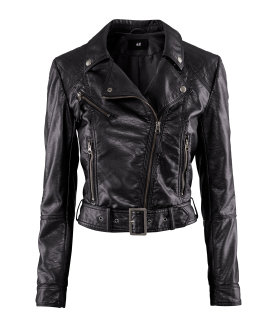 This cropped biker jacket is funky and irresistible. You can keep it edgy with skinny jeans and a graphic tee or pair it with a skirt or dress for a more girlie feel. 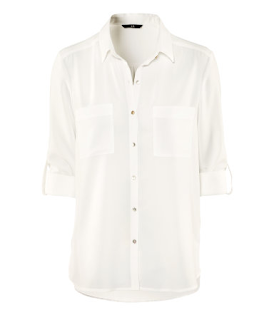 Everyone should have a white botton down blouse in the closet. It is a wardrobe must have because of how versitile it is. I love the more comfortable looser fit of this top. I'm sure by now you all know that I love everything peplum! 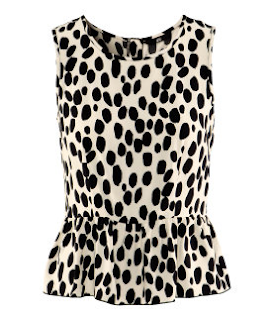 LOL So I couldn't say no to this adorable polka dot peplum top. I like that leather jacket :) I have been wanting to get one!! lol That place is like heaven!